Our first activity was a pinterest idea that didn't work, but looked good while we making them. The idea was to blow up a balloon to an egg shape, pop a couple of wrapped (mini) chocolate eggs inside then decorate the balloon with thread soaked in glue. 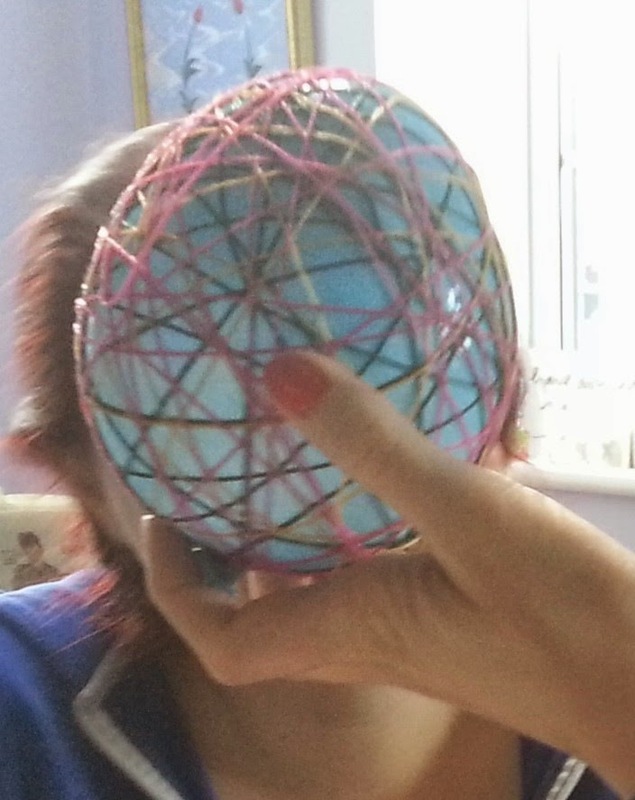 When the glue dries you pop the balloon and should have a really interesting egg shape. You'll see from this photo they look really good while wrapped around the balloon, but unfortunately when the balloon was popped the thread stuck to it and collapsed with it! 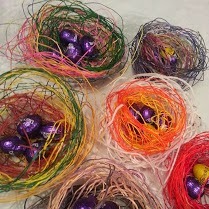 We ended up with some pretty egg nests but not the desired effect. With the help of my sister I started piecing together a quilt from squares and rectangles that had been hand sewn by a variety of people, many teenage girls, probably about 6 years ago. But I'm going to save that photo until it's finished! 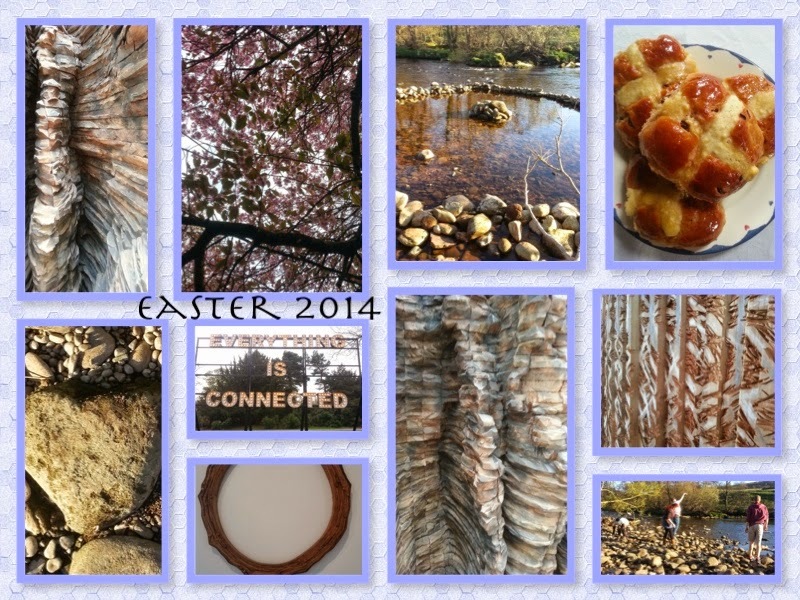 Next is a collage of our trips out combined with our first, and I have to say very successful attempt at Hot cross buns! And finally, we had a go at lino cuts, with some very soft and easy to cut lino blocks. Here is my attempt, which I am rather pleased with! 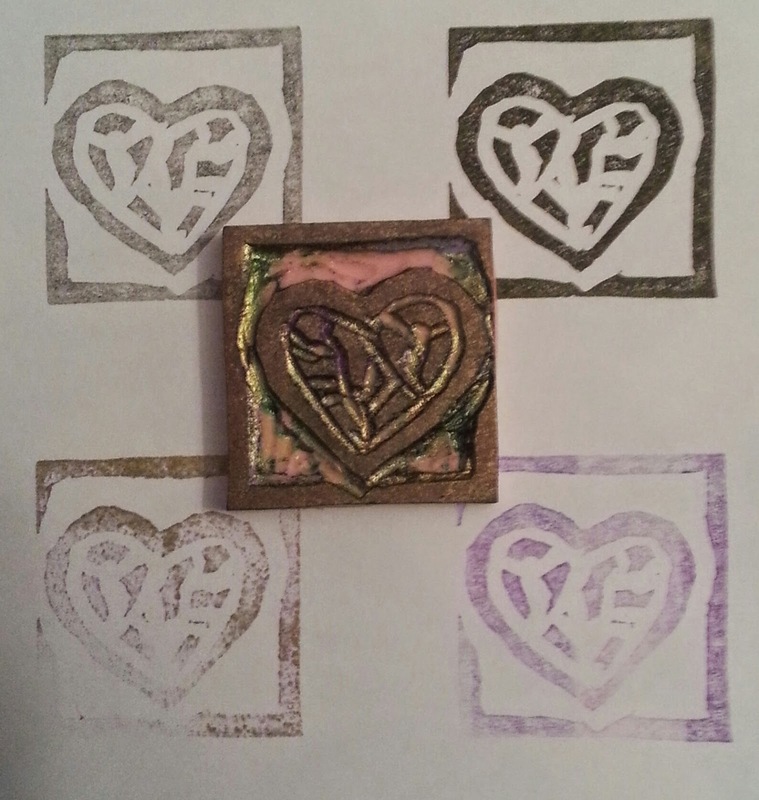 I had a special trip out today to buy the ink pads and am awaiting the delivery of some more of the lino block to have another go but for me this is a new and rather exciting craft which will be combined in my handmade cards, and probably other things as well. So many possibilities!